JA Solar Holdings Co., Ltd. (NASDAQ:JASO) is engaged in the business of designing, developing, manufacturing and selling solar cell and solar module products. 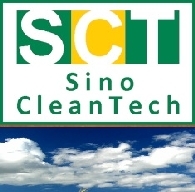 The Company is also engaged in the manufacturing and sales of solar cells. Its principal products are monocrystalline and multicrystalline solar cells and it also manufacture a variety of standard and specialty solar modules.